The main goal of the complex is to represent significant artefacts, custom, manner and culture from the past centuries that have been concealed for the tourists and to establish a site where the past is accessible for all perceptions. 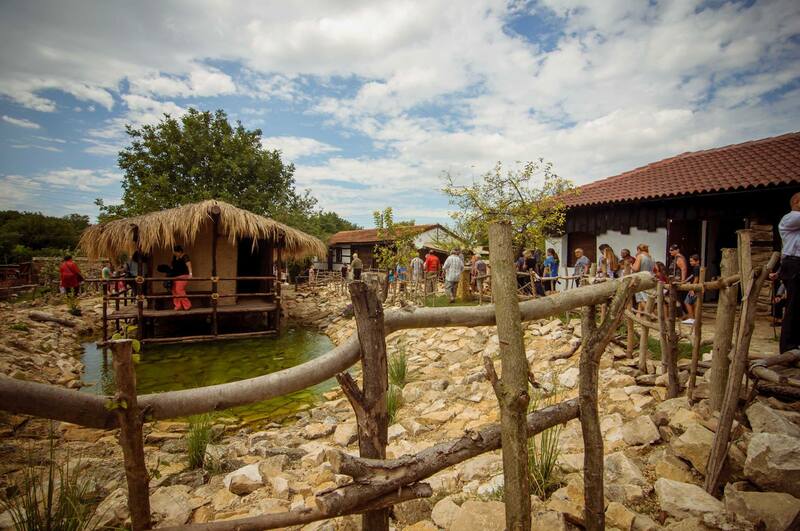 In Neolithic Village everybody can feel the atmosphere of the prehistoric ages to maximal extent. Expositions of ancient crafts like Pottery, Jade processing, Stone processing, Casting of copper and other are well shown and explained by a tour guide. The precise silicone sculptures give the expositions feeling of completeness. 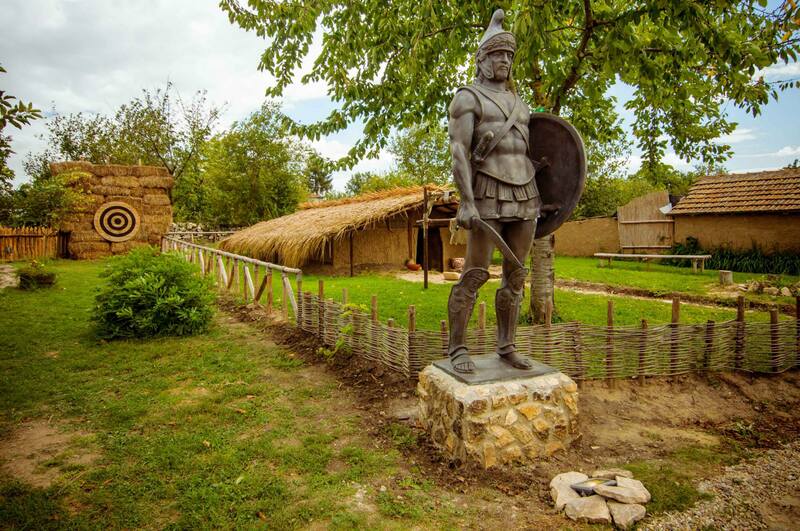 Additional activities like archery, ritual wine drinking in accordance with the Thracian mythology, dressing and picture with traditional clothes from the era and horse riding along with variety of delicious food, prepared by authentic recipes provide a fabulous experience. Reconstruction of a Neolithic ground House (6000 - 4000 B.C.) and a Pile house of Chalcolithic (4000 - 3000 B.C.) with significant manner and custom accents. Thracian museum with exhibition of certified replicas of Thracian treasuries, coins, ceramics and weapons and others. 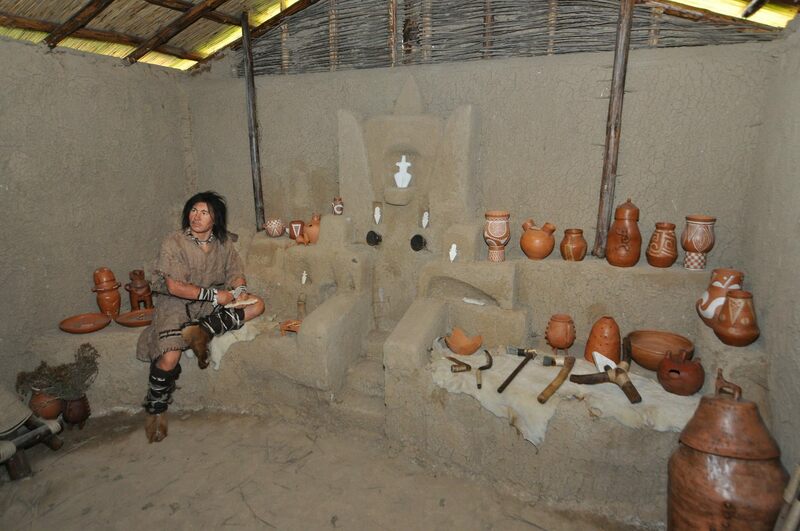 Reconstruction of ancient craft workshops for Pottery, Jade processing, Salt gathering, Stone processing, Leather processing and Copper casting. Silicone sculptures of men from the above mentioned ages. Interactive Tourist Activities like bow archery, ritual wine drinking in accordance with the Thracian mythology using replicas of Thracian rhytons, horse riding, picture with traditional clothes and others.